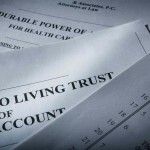 There are numerous different legal devices that are used in the field of estate planning, and today we would like to look at the vehicle called a Special Needs Trust. It is important to consider the life circumstances of the people who are on your inheritance list when you are planning your estate. You could mean well but inadvertently do more harm than good if you don’t go about things in the optimal manner. For example, suppose you have someone in the family who is not good at handling money. If you were to leave this person a direct inheritance he or she may burn through this inheritance much too quickly. In addition to this possibility, creditors may seek to attach the resources. You were attempting to provide a financial underpinning for someone that you love. However, because you didn’t go about it the right way unintended negative consequences happen. This is one type of circumstance that calls for some advanced estate planning techniques. Providing for someone who has a disability is another situation that requires specialized attention. Providing assets for someone with special needs is a delicate endeavor. A significant percentage of people who have disabilities are enrolled in the Medicaid program. Medicaid is a government program that provides access to health care for people who cannot afford to pay these expenses. The program has installed strict regulations with regard to the assets that applicants are allowed to possess. If you have more than $2000 in assets that are considered to be countable by the program you cannot participate. Those who need assistance who have assets that exceed $2000 often “spend down” and divest themselves of financial resources in an effort to become eligible. If you name someone in your Will who is relying on Medicaid benefits he or she could lose these benefits as a result of this influx of money. However, if you create a Special Needs Trust for the benefit of this individual, assets would be available for certain purposes, but benefit eligibility would not be jeopardized. This is why you should certainly consider a Special Needs Trust if you want to set aside resources for the benefit of someone that you love who has a disability. This is a very brief, surface explanation. Our firm has helped many people here in the greater Cincinnati area provide for family members who have disabilities. A Special Needs Trust can make an enormous difference in the life of someone who has limited financial resources but a great deal of financial need. We offer consultations to our neighbors in the community, and we invite you to contact us if you would like to schedule an appointment.